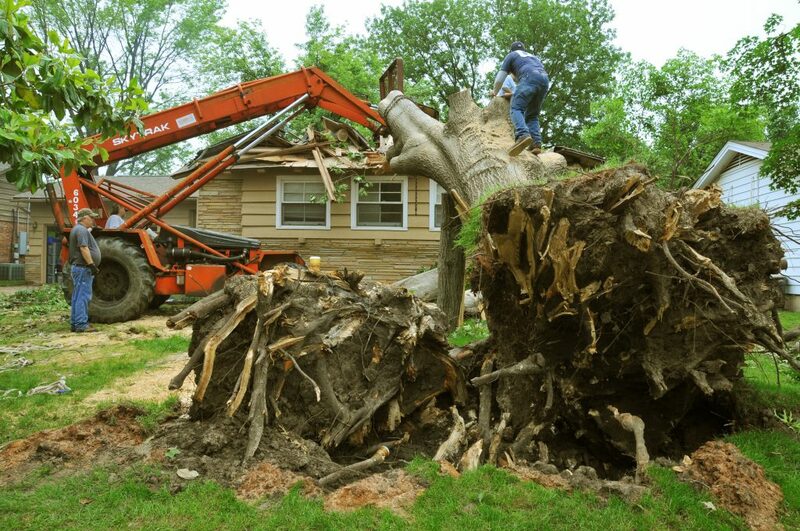 Harsh winds can cause major property damage, particularly when large trees fall over or tree branches fall down. A tree falling over can cause major property damage, serious injuries, and even fatalities making it a very dangerous risk. Nevada can be known to have some harsh winds that have caused many trees to fall over creating damages to homes, vehicles, landscaping and even injuring people. Avoiding these costly problems can be done by informing yourself of the signs and indications that could point to a tree falling down. What Causes Trees To Fall Down In High Winds? Typically, healthy trees are strong enough to withstand harsh winds. You may see some broken branches and the tree may los some leaves, but in general the tree should stay upright. However, all trees have the potential of falling down from the sheer force of heavy winds and certain conditions can increase the risk of that happening. These situations can all contribute to the fall of a tree, which is why it is important to take the time to check the condition of your trees. You never know when a harsh windstorm will hit and it is far better to be prepared by maintaining the health of your trees than to run the risk of experiencing major damages. How To Avoid Having A Tree Fall Down During High Winds? The best way to prevent a tree from falling is to be proactive in maintaining the health and condition of your trees. Investing in professional tree service to care for and trim your trees will keep your trees in good standing. Regular tree service from professional arborists will also help to identify potential problems before they can become worse. To know if a tree in your yard is at a higher risk for falling, take a few minutes to look at the appearance of the tree. Is it leaning? Does it have cracks holes in the bark of the trunk? Is the canopy as full as it should be? Do you see mushrooms growing at the base of the tree or from the trunk? Does the soil seem excessively soft or wet? If you notice any of these signs, call a professional tree service company to inspect your tree and provide you with solutions. Taking proper care of your trees and acting quickly when a tree is damaged or diseased is the best way to avoid having a tree fall over. Invest time in properly pruning and trimming the tree, be careful not to overwater, and address small problems before they become bigger ones. Nevada Tree Service provides superior tree service for Las Vegas and surrounding areas. If you are worried that a tree on your property may fall over in the next windstorm, don’t hesitate and call us today at (702) 433-4700 to inspect the tree and make a professional recommendation.